Please take a moment to write us a testimonial, so we may continue to grow and help other businesses & individuals such as yourself. We also welcome your suggestions and constructive criticisms. "I purchased my Isatphonepro from SatPhoneCity because of price and the rates. Chris was a pleasure to do business with, and the transaction was simple and timely. The phone works very well, the call quality is on par with a good cell phone. I also like the email and Text capabilities. I am one satisfied customer!" 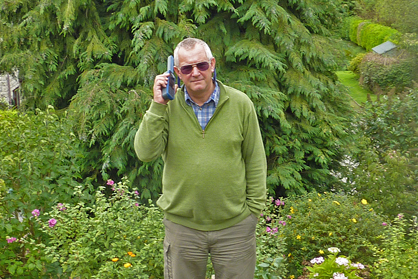 "I've used the SatPhone in Ethiopia, Turkey and parts of the UK with no cellphonee reception so far and the quality of the reception has been without exception excellent. In fact, it will be my preferred choice of phone overseas from now on as the cost of the calls is about half that of using my cellphone! I will be going to Egypt shortly and fully intend using it there. The battery life of the SatPhone is superb, again, much better than my cellphone and it's very easy to use. Also, the service I have received from SatPhone City has been without fault and I have already recommended you to a couple of my friends." "Purchasing my sat phone from SatPhoneCity was an easy decision. The package offered was unbeatable. Intending to use it on my sailing and fishing trips at remote areas, I quickly found out it was cheaper to use it also at places I do have regular cell coverage. The quality of build and voice is excellent, as well as battery life. Have not enough experience in using it for data transfer, though, an important feature yet to be checked. All in all, extremely happy with SatPhoneCity and the phone." 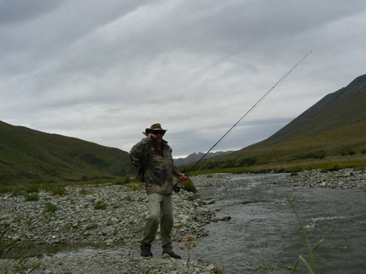 "It is with pleasure to take this time to tell of my buying experience with SatPhoneCity.Im halfway round the world in New Zealand and enjoy the outdoors, the only trouble is the mind is willing but the body is falling apart so some safty gear needed just in case. SatPhoneCity supplied me with a IsatPhone Pro on prepay. the SatPhoneCity team were fantastic any questions were answered straight away, remember Im halfway round the world in a different time zone. I think they must work 24/7.so if your looking for satphone dont go past SatPhoneCity, cheers Rick." "I was up on the tallest mountain in sweden, Mount Kebnekaise, this summer. Of course the satphone was with me and was working excellently exept for some places far down in the valleys where the moutains were blocking the service. 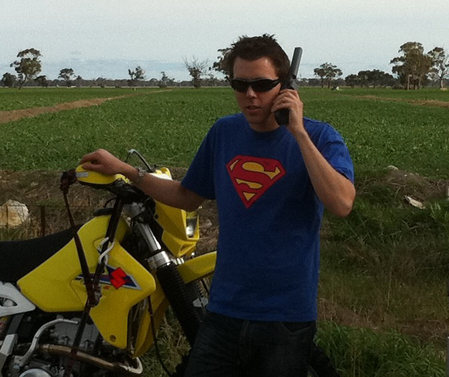 As my mobile didn't work there i did make some phonecalls and sent some text to update my family about my adventures. Unfortunatly it was really foggy at the top of the mountain so not the coolest of pictures :P, but as the isatphone has GPS i took a picture of the screen to really prove my whereabouts :) 2107 M above sea level :)"
"Please find attached a photo of me using my satphone at the Bungle Bungles in Purnululu National Park in northern Western Australia. On this trip there were stretches of road for around 800km (~500 miles) between towns – pretty remote! We’ve been very happy with our phone. Only used it infrequently but comforting to know that it’s there is trouble arises." 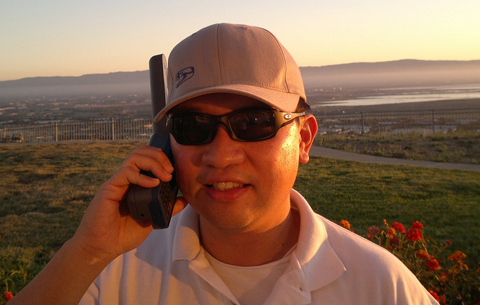 "For me, the Handset IsatPhone Pro, is the best! Excellent call quality, combined with an excellent price make it the ideal choice. Every time I used it in remote locations have always gotten an excellent connection quality. 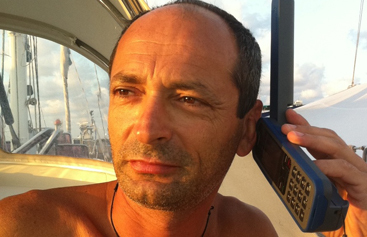 Inmarsat is to be congratulated!" 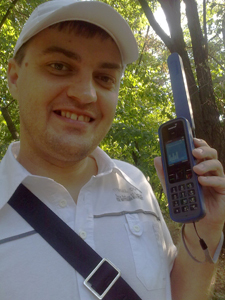 "I've had this phone for almost a year and in the photo, I'm using the Inmarsat IsatPhone Pro in speakerphone mode (I wish it had louder audio level - I have the same gripe with the iphone). The voice quality is excellent and the call latency in a conversation isn't really that bad with digital switching circuits being everywhere, considering that the satellite is about 26000 miles above the equator and that the speed of light is 186000 miles per second. 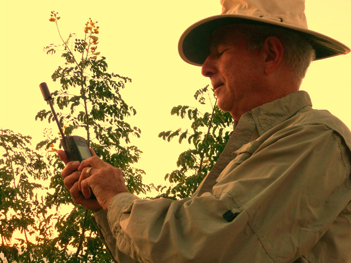 I use a prepaid SIM card and in comparing satellite phones on the market it is excellent value for the money, but having said that you do need to understand the technology and any limitations it may have for you. I do live in the northern hemisphere (just above 49 degrees latitude) and in mountainous British Columbia, so for me the Inmarsat satellite over the Americas (parked in an orbital slot of 98 degrees west longitude above the equator) is about 30 degrees above the horizon. As long as you're cognizant of this fact and realize that you may not be able to "see the satellite" all the time and it's not a big deal for you then it's fine. 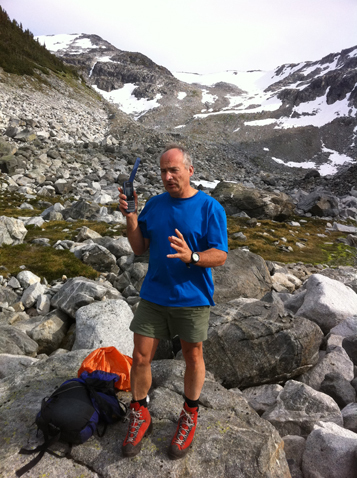 However many other scenarios can come into play: extreme northern or southern latitudes, kayaking in fiords, being in deep canyons and valleys, or even in a deep glacial crevasse where the Isatphone Pro won't work. A service provider using a LEO constellation of satellites in that case would be better." 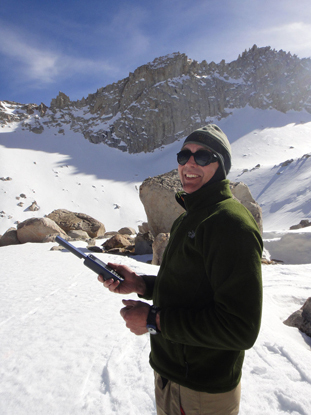 "Most people think I'm crazy for carrying a sat phone in the mountains. They think a SPOT beacon would be just as good for getting a rescue... until they find out I'm updating someone twice a day with location and status. If I fail to check in, like if I'm unconscious or badly hurt and/or unable to dial out, my watcher will send in the troops. 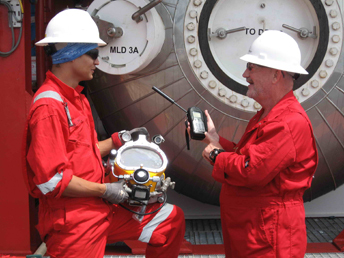 Way better than a beacon with no two-way communication for confirmation and planning of a rescue. So far I've only used it to stay connected, never needed a rescue, but the option is well worth the price." 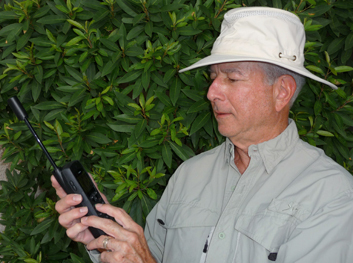 "Here are two ‘Sat Shot’ pictures of me using my Iridium 9555. I have been very impressed with the quality of calls, clarity and convenience of the 9555. Worked extremely well on my recent trip to Africa." "We took this picture today moving a boat from Freeport Bahamas due to hurricane approaching. The need for a Sat phone was important to communicate to land base the position of the boat and to advise if sea conditions were favourable for other boats to cross the Atlantic before storm. As you can see in the picture sea’s are 1 foot or less but the next day they will be any were from 8 to 14 feet. Another important reason is we are a investigation firm which recovers stolen boats. 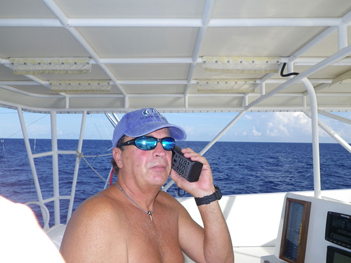 We have used the phone several times to advise the US Coast Guard we were crossing the Yucatan Straights with a recovered stolen boat." "I live in Ukraine in Nikolay's city. 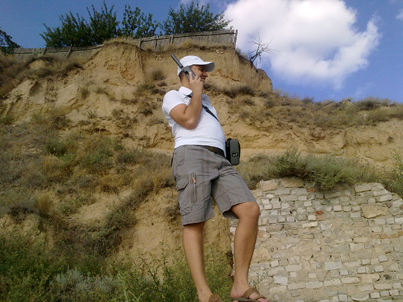 I often use phone IsatPhone Pro in a city and in the country too. It catches a network even when antenna is lowered. So it turns out that when the isatphone is in the carry casse it always see a network and is ready to accept a call or SMS." 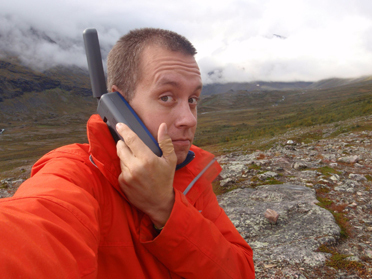 " I use the IsatPhone to call my relative overseas from the top of the hill with almost no steady signal reception, receiver told me I sound loud & clear." 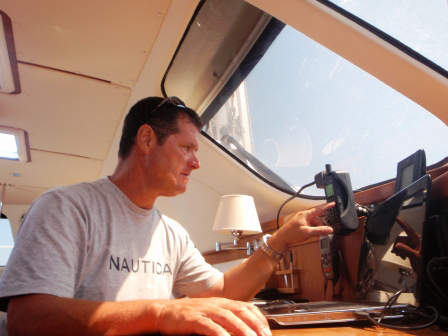 "We used the Iridium 9555 on daily basis in our long 12,000 NM sailing from Buenos Aires to Rome aboard S/Y "BLUE DAWN" It's our life line!" "The phone has been fantastic. It keeps me safe while I'm out dirt bike riding. I'm often riding in places that are quite remote and it definitely gives me peace of mind. I love how I can read my latitude & longitude then send it on via SMS. Very handy. I never take the bike out with out it." "Our purchase of our Sat Phone Pro was a great investment... it gave us the freedom to enjoy our remote cottage in Northern Ontario where there is no cell coverage... within a few months we realized the need for the docking station which made the whole package that much better, with the nature of my wife's work always being on call, she has yet to miss one... the piece of mind knowing we are able to reach the outside world from our cottage to anywhere more than out weights the cost... Chris @ SatPhoneCity was awesome to deal with... and I have recommended his products to remote hunting/fishing outfitters having lent them our unit so they could see for themselves how well these units work... Thanks a bunch..."
"We have always received prompt and efficient service from SatPhoneCity." 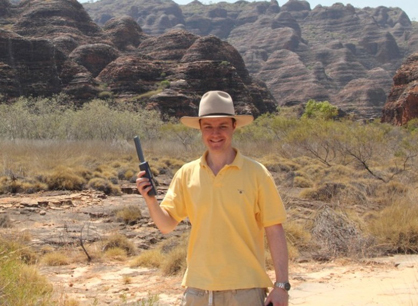 "Planning on an off road driving holiday in Australia, It seemed important to have some means of communication in the event of emergency. 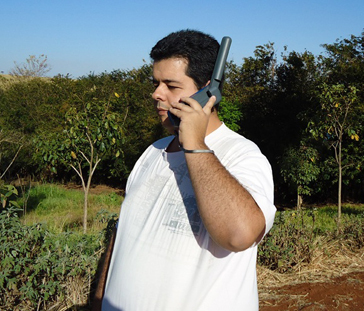 The entire process of purchasing the isatphone pro went very smoothly. The phone arrived in a week and the 2 year prepaid plan suits my requirements very well. Thanks again for a pleasant purchase." 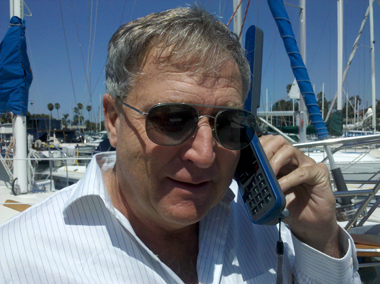 "Chris is the most knowledgable satellite phone sales person I have ever spoken with. If you have a question, he will answer it. If you have a problem, he will fix it." "The price for the Iridium 500 minutes card was the best I could find on the web at the moment of the purchase. Communication was very good. Didn't had any problem, even when activating the SIM some 3 months after the purchase." 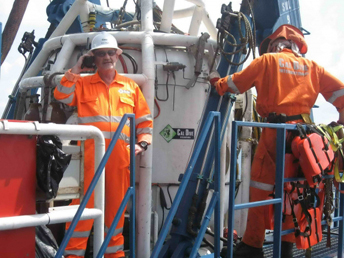 "Chris is the person to handle your isolated, global communication needs. Trust me, I am well requested for my Tax/Acctg. services, in the Movie & Contractual industries. Thanks, Chris!"